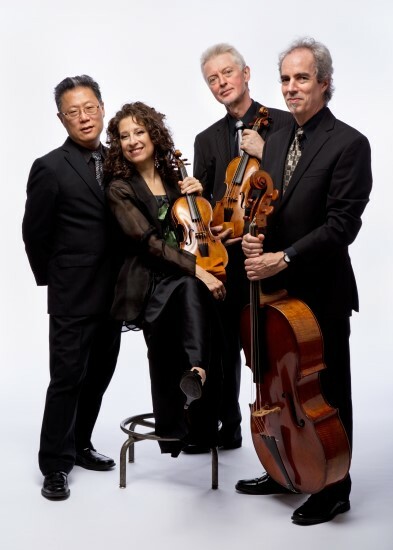 The Candlelight Society sponsors quality chamber music performances in Howard County. This esteemed group will be presenting REBEL a glorious concert featuring baroque music. REBEL will be delighting the audience with Period-Instrument Renditions of Baroque Repertoire at the Smith Theatre at the Horowitz Visual and Performing Arts Center at Howard Community College on Dec. 1, 2018 at 7 PM. “REBEL’s scheduled program, Irregular Pearls: Musical Treasures from 17th– and 18th-Century Europe, features both familiar and lesser-known masterpieces, including works by perennial favorites Vivaldi, Telemann, and Corelli. “Those fortunate enough to have attended REBEL’s initial appearance with Candlelight, in 2005, know that this encore performance will prove to be one of the most exciting and high-energy events of the season,” according the Candlelight Society’s Press Release. The ensemble takes its name from the innovative French baroque composer Jean-Fery Rebel (1666-1747). Bio: Candlelight Concert Society presents world-class chamber music by today’s leading artists to the Howard County community and beyond. Experience the magic of transformative, live chamber music in a comfortable setting without the commute or parking fees. Founded in Columbia by local music lovers in 1972, Candlelight’s mission extends to its CandleKids series to spark children’s interest in the performing arts and to its Educational Outreach programs to build future audiences through performances, lectures, workshops and master classes. “REBEL–Irregular Pearls: Musical Treasures from 17th– and 18th-Century Europe,” plays Saturday, Dec. 1, 2018 at the Smith Theater at the Horowitz Center at Howard Community College. Tickets can be purchased on-line at online or by calling the box office at 410-997-2324. I was able to ask Tom Hudson, President of the Board of Directors of the Candlelight Society, several questions about the group and REBEL in particular. When did Candlelight come into being? This is our 46th season! We were formed in 1972. What type of music do you try to book for concerts? Our primary mission is bringing world-class chamber music to Columbia/Howard County – from piano recitals to ensembles of various sizes, from the Canellakis-Brown Duo (cello and piano), which opened our season on the 30th of September, to the East Coast Chamber Orchestra (ECCO), which will be performing at Linehan Concert Hall at UMBC on the 13th of April. We also bring in groups with crossover appeal every season. For this season, it’s the Italian Saxophone Quartet (31 March). What are the names of the musicians in REBEL? The ensemble includes Jörg-Michael Schwarz, co-director, violin, viola, Karen Marie Marmer, co-director, violin, viola, Matthias Maute, recorder and traverse, John Moran, cello and viola da gamba, Dongsok Shin, harpsichord, organ, fortepiano. REBEL was formed in the Netherlands in 1991, but is currently based in the States and has been for most of its existence. They’ve performed at prestigious festivals and venues throughout Europe, including the Holland Festival Oude Muziek, Tage Alter Music Berlin, the Vienna Konzerthaus, La Chapelle Royale (Versailles), Internationale Festtage fuer Alte Musik in Stuttgart, Les Lumineres Festival (Helsinki), and many others. REBEL has also performed in 38 states here in America at a number of distinguished venues, including the Library of Congress, Carnegie Hall, Stanford Lively Arts, University of Chicago Presents, and the Isabella Stewart Gardner Museum in Boston.